Most vehicle manufacturers do not recommend snow plowing in overdrive. 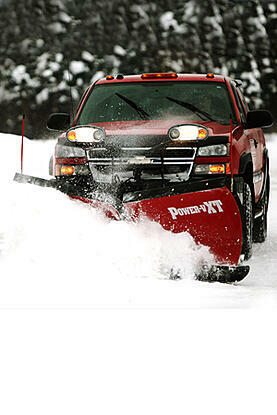 Consult your vehicle owners manual to find out if plowing in overdrive is recommended--and if so, when and how. Plan your plowing pattern so that you are driving forward as much as possible. Come to a complete stop before shifting from forward to reverse.Wait until the transmission engages before accelerating. Accelerate slowly, allowing the wheels to grip the road surface for better traction. Avoid spinning the tires. To start a pass, start the vehicle in motion. Then drop the snowplow blade. Whenever possible, back into a cleared area. If you have a manual transmission, avoid riding the clutch while plowing. After plowing, let the vehicle idle for ten minutes or more to allow the transmission cooler time to cool the transmission fluid. Following these tips will help extend the life of your plow truck's transmission and keep your maintenance repair bills down during the season.